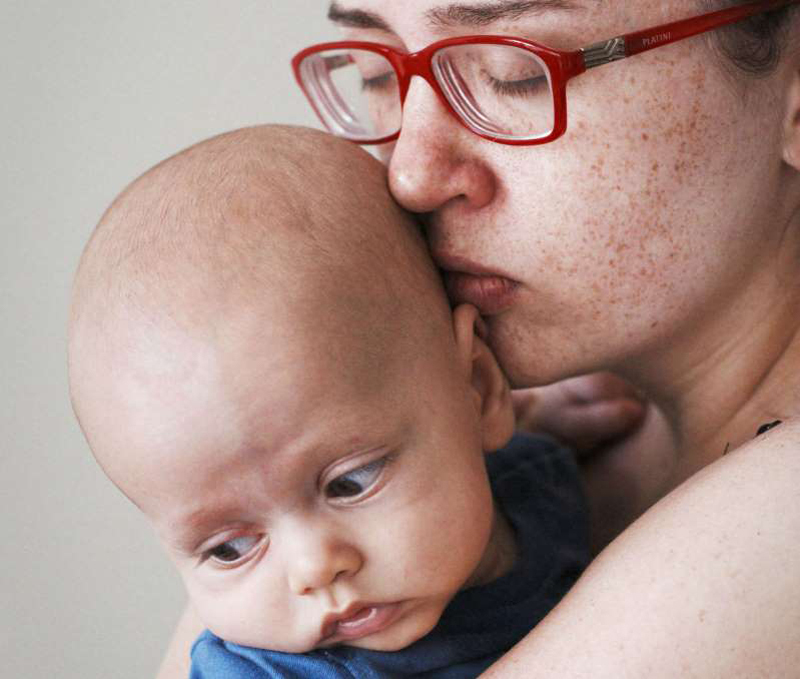 I was a brand-new mom, and my son, 4 months old at the time, had been sleeping horribly. He was a baby, so bad sleep is to be expected to some extent, but this kid seemed to be suddenly sleeping worse than he ever had, waking up every hour on the dot to nurse — fussing, crying, the works. We had been planning to travel to New Jersey for a family party, and although I’d been reluctant to commit, I also didn’t want to seem like a bad sport. After all, it was only an hour away, I’d have help from my husband and in-laws, and we’d hardly ventured out since our baby was born. But after a few nights of nonstop night-waking, I woke up the morning of the party feeling like I really, truly, absolutely wanted to cancel. Not only was I tired AF, I was totally uninterested in being social. My baby was a wreck too. I was also dreading the car ride, because unlike almost every baby I knew, mine was a car-screamer. He really hated the damn car and wouldn’t even fall asleep once we got going. I made the case for cancellation to my husband, and although he probably would have said OK if I pressed a little further, he gently encouraged me to go. His parents really wanted us to go, too. This is one of those times where I look back on being a new mom and realize that it’s always, always best to go with your instincts. That car ride there was a total sh*tshow. The baby wailed for the entire two hours (there was traffic, of course). We rode with my in-laws, who actually encouraged me to take the baby out of his seat while we were stalled in traffic. They raised kids in the '70s and '80s, so I guess that was their excuse. But there was no way in hell I was going to do that, and the suggestion made my blood boil. The party itself was fine, but the baby was so fussy and overwhelmed by all the people that he wouldn’t even nurse. A fussy, hungry baby is no fun at all. And, of course, I was the only one who could soothe him, so all of those offers of “help” proved pretty useless. This is not a story about how annoying or cruel my husband or in-laws were. They meant well and truly wanted to make this a nice day for our family. But there’s definitely this idea that new parents should be back in the swing of things much sooner than some of them feel comfortable with … and that’s just ridiculous. Yes, there are babies out there who sleep, and babies who remain calm during long car rides. There are mothers who are happy to socialize, despite how freaking exhausted they are. But many of us just aren’t ready to do all the things when we are parenting a newborn. Yet we feel this intense obligation to make everyone happy. We think we need to prove that we have our stuff together, and that being a mom somehow isn’t going to stop us from living our lives just the way we did before. Moms, I don’t want you to make the same mistake I did, one I seemed to make at least a few more times until I finally learned my lesson. It’s OK to say, “Hey, you know what, I have a freaking baby, I don’t have to do all the things!” It’s OK to cancel stuff, stay home and pare down your life. You just had a baby, so cut yourself some slack. I promise that all that stuff will be waiting for your when you’re ready. It’s OK — and necessary — to assert your needs. And to anyone who doesn’t understand, or feels the need to guilt you into doing stuff you aren’t ready to do, you have my permission to kindly tell them to STFU.